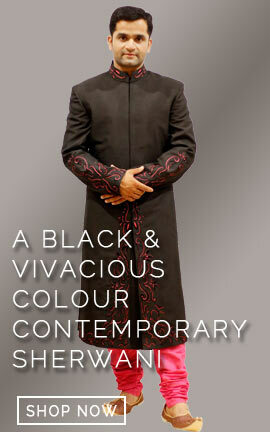 his is one of the most creative designs of our designer Nisu J. 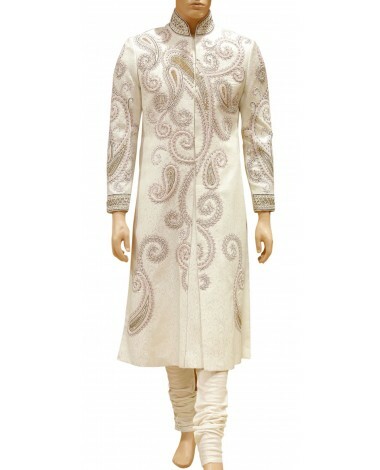 This elegant designed pink & golden sherwani is made up of high quality fabric. 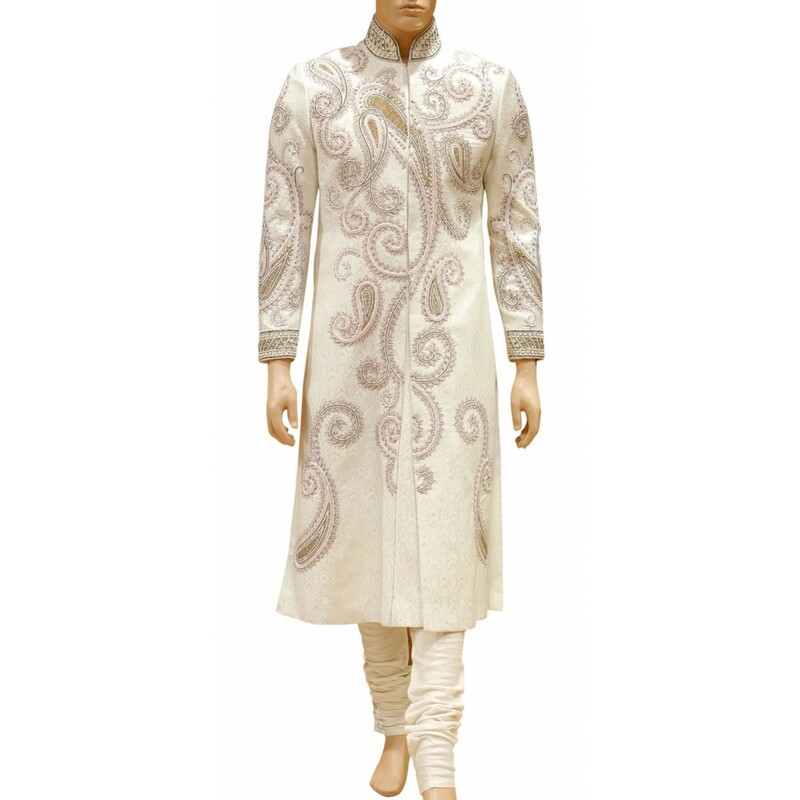 High neck collar with front embroiding on fine thread make is more stylish. This is one of the most creative designs of our designer Nisu J. 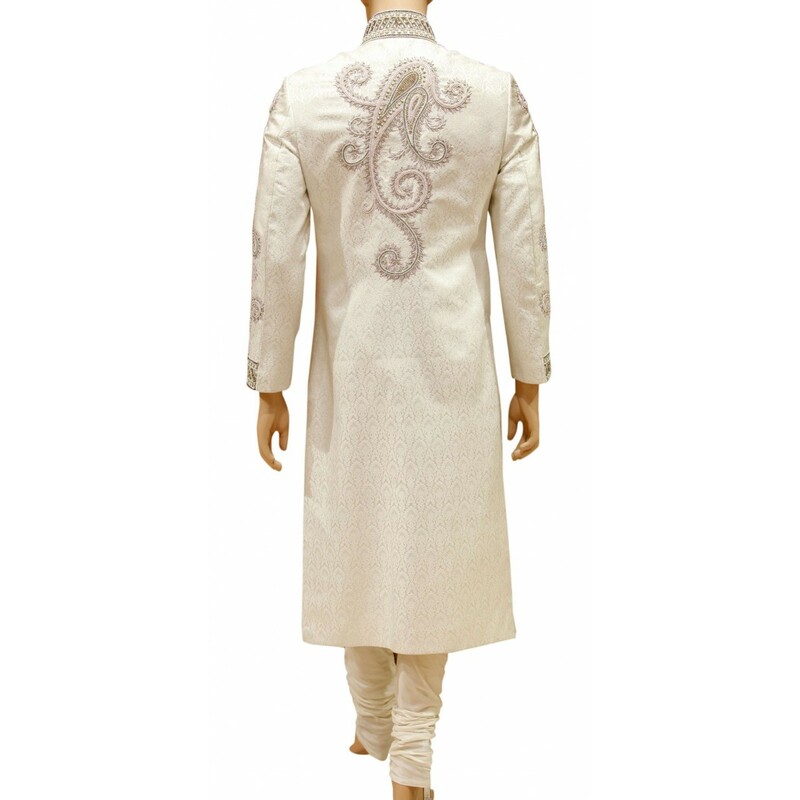 This elegant designed pink & golden Sherwani is made up of high quality fabric. 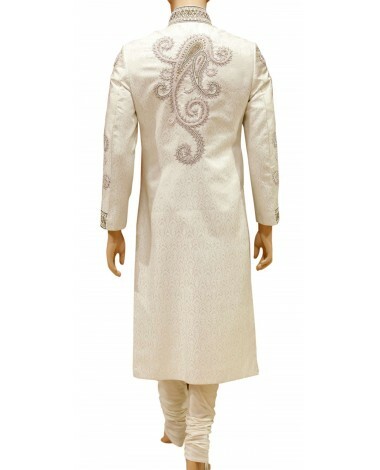 High neck collar with front embroiding on fine thread make is more stylish. Payjama is also matched with it.